Republican vice presidential nominee Mike Pence demanded that the Clinton Foundation be shut down at a campaign event in Iowa on Monday. As he stood on a makeshift stage on the back of a flatbed truck, the Indiana Governor asserted that Clinton should “come clean” about the foundation, and he described donations made by foreign contributors and corporations as “down payments to access the Clinton Foundation.” He also made a reference to revelations about 15,000 new emails found by the FBI. Pence went on to accuse the Democratic nominee of being absent from the campaign trail. “Hillary Clinton has been hiding and Donald Trump is everywhere,” he said. Clinton had closed fundraising events in Nantucket and Martha’s Vineyard while Trump visited Baton Rouge, which was heavily damaged by recent flooding. A rapid-response spokesman for the liberal group American Bridge had a different interpretation for Pence’s remark. 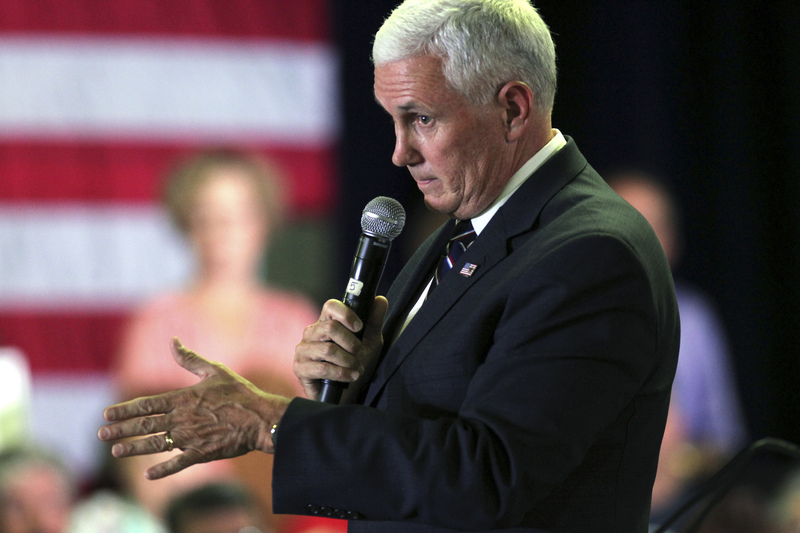 Despite Pence’s sharp attacks against Clinton, the Midwesterner would only go so far. During the question and answer part of the event, a man commented, “What I’d really like to know is would a Republican attorney general under your administration be able to or have the willingness to indict Hillary Clinton?” It’s a question that called to mind the chants of “lock her up” at Trump campaign events, a staple at nearly every campaign event, although not at Monday’s town hall.